"Dr. Corey is the best!!" "Highly recommended! Best there is, was, and ever will be!" "Dr. Corey and his staff are awesome! They're all very knowledgeable and very informative"
"Dr. Corey and staff are awesome! I highly recommend them"
"Dr. Corey is simply the best!! He is extremely knowledgeable and caring as well." 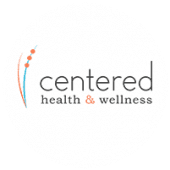 Centered Health & Wellness is a chiropractic clinic located in Chattanooga, TN. Dr. Corey Idrogo and his staff’s mission is to help people get their pain-free lives back through safe, effective care. The office has helped hundreds of Chattanooga residents, just like you, eliminate back pain, neck pain, headaches, migraines, fatigue, and various diseases at their source. Our services include corrective chiropractic care, structural correction using mirror image spinal remodeling, functional rehabilitation, instrument assisted soft tissue manipulation, and massage. We believe in working hard to help you. We believe in challenging the status quo of chiropractic care. We believe in letting your body heal naturally. We believe that there is no such thing as too young or too old when it comes to health. Our team utilizes the most advanced assessment tools and techniques to pinpoint the root cause of discomfort and disease, and prepare a custom treatment plan to get you and your loved ones lasting results. Chiropractic Adjustments are a safe specific maneuvers to the spine or a joint to improve proper joint mechanics, function and most of all, reduce pain. Mirror Image Spinal Remodeling is a procedure that repositions the spine in its proper position reducing abnormal loading on joints, improving posture, reduce disc herniation and eliminate pain both acute and chronic. Functional Rehabilitation is an extension on physical therapy to improve a patients ability to perform complex movements while reducing the risk of recurrent injury and enabling them to participate in pre-injury levels of activity. Instrument Assisted Soft Tissue Mobilization is the modern evolution from traditional Chinese medicine of Gua Sha to accelerate the healing process of soft tissue injuries and scar tissue effecting muscle strength, imbalances and pain (short, tight, painful muscles).